One of the finest openers in the history of IPL and two times orange cap holder David Warner making his comeback for SRH after sandpaper scandal. Frankly, SRH team management opens up their cards around the David Warner; his presence will definitely boosting the confidence in SRH camp. As I concern, SRH made a great deal with Delhi Capitals by treading Shikhar Dhawan in place of three quality domestic performers; Rising Indian star Vijay Shankar, left-arm spinner Shahbaz Nadeem and Abhishek Sharma. SRH might go with Warner and Vijay Shankar to start their innings. Williamson who won Orange cap last year at No.3 and Manish Pandey at No.4 which provides depth to their batting lineup. W. Saha, Yusuf Pathan, Deepak Hooda, and Shakib al Hasan are the players who need to and taking responsibility in the middle order. 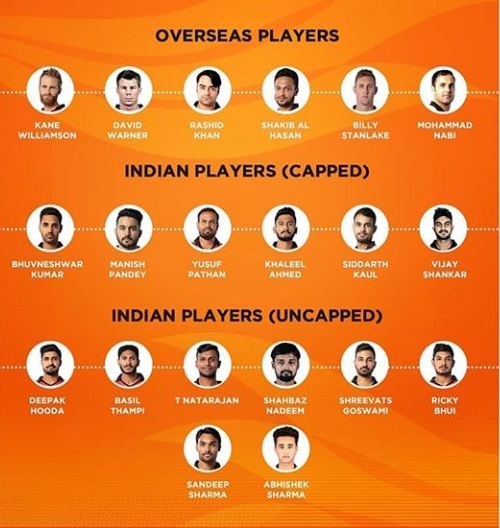 The success of SRH surely depends on this all-rounders.if they managed to carry what team management wants, SRH will have a great chance to went to Haidrabad with IPL trophy. But I think SRH short with one proper middle order who has the ability to bat long and handsome. Now it's become important that how they handle Jonny Bairstow until he is available for them. In the bowling department, I feel they don't have any kind of problem. They have Rashid Khan who is been outstanding between 22 yards for the last 2 years. with Bhuvi, Sid Kaul and Khaleel Ahmad SRH look stronger as they always. The IPL sensation Sandeep Sharma and Basil Tampi also been part of the squad. New Zealand Skipper Kane Williamson, comeback man David Warner, Martin Guptill, Jonny Bairstow, and all-rounder Shakib al Hasan; these are the international players who will definitely miss out the IPL from a month of May. One of the major concern SRH has is, they don't have the right replacements for these foreign players. Abhishek Sharma, a player from Punjab who was excellent for Delhi Daredevils last year and Ricky Bhui who hits hundred in List A and t20 on debut; are the players who will make an impact if they get chance to play. Warner, Shankar, Williamson, Manish Pandey, W. Saha(WK), Y. Pathan, shakib, Rashid Khan, Bhuvi, Khaleel Ahmad, S. Kaul. Delhi Capitals team analysis: destructive Indian top order and world class bowling attack - will Delhi Capitals managed to clinch their 1st IPL trophy? The renamed IPL franchise Delhi Capitals come up with a new owner and new management. Delhi Capitals is one of the worst performers in the IPL. They can't able to reach into the finals of IPL only single time throughout 11 seasons. But definitely, Shreyas Ayer who will go to lead the side wants to change the fortune of DC and clinch their 1st title ever. Young Indian top order Prithvi Shaw, Iyar and Pant along with experienced Shikhar Dhawan look one of dangerous batting lineup of this year IPL. They also have world-class fast bowlers like Rabada, Boult, Morris and most successful spinner in IPL Amit Mishra. At No. 5 they have Colin Ingram who is been outstanding during the BBL and performed well in ongoing PSL. In BBL08 he scored 333 runs in 13 matches with a strike rate of 139. Delhi Capitals invests 5cr to grab this South African. Morris and Axar Patel will follow Ingram at 6 and 7 respectively. Rabada, Morris, and Boult these three fast bowlers will definitely be missing the IPL after a month of April. But right now Delhi Capitals don't have any bowler who can replace the place of these players. They have backup indian fast bowlers; Ishant Sharma, Avesh Khan, and Harshal Patel are the options Delhi Capitals has right now. Prithvi Shaw, Ayer and Emerging player of IPL 11 Rishab pant are the players to watch out this season, along with these 3, kerla's all-rounder Jalaj Saxena is another consistent domestic performer who is playing first time in IPL. Dhawan, Shaw, Iyer(C), Pant, Ingram, Morris, Axar, Tewatia/Harshal Patel, Amit Mishra, Boult, and Rabada. World's biggest t20 carnival is on the road and ready to bang from 23rd March. 8 teams will play against each other to win the 'night of final' which has been planed on 12th May. Cricket fans are always waiting for the IPL where the world's best players promise yet another exciting season. Here's all-time IPL XI. He is the most successful Indian opener in the history of IPL. He scored 4218 runs in 154 matches with an average of 31 and with a strike rate of 124. Gautam is the best player in the world against the spin and became the most important player on challenging pitches. He changed the fortune of KKR since he joined. David Warner is one of the most dangerous openers in the IPL for SRH. He plays the spinner equally well as seamers. He has the ability to chase down any kind of target which opposition has set. Warner is the only player after Gayle to won orange cap twice in IPL. He scores more than 4000 runs with an average of 40, with a strike rate of 142. No doubt at no.3, world's greatest batsman of the current generation who is been game changer on his day. 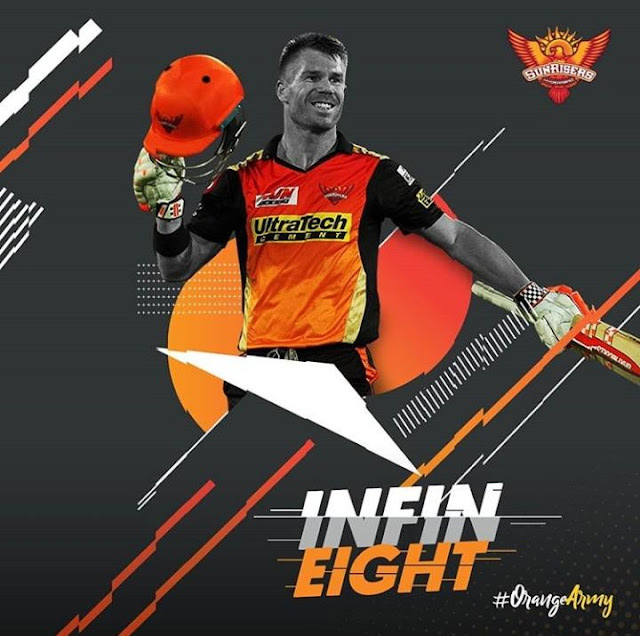 Orange cap holder of 8th edition; holds the record of most runs(973 runs) and most hundred (04) in a season of IPL. Virat managed to score 4948 runs in 163 matches with a healthy average of 38.36. 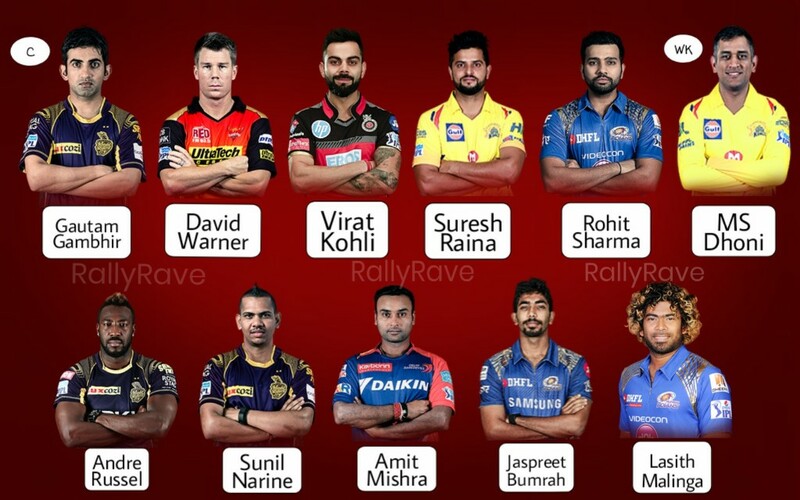 Virat is the only player to play all IPL seasons for same franchise RCB. Raina is the highest run-getter in IPL history. He scored almost 5 thousand runs (4985 runs) with a strike rate of 139 in 176 matches. Raina is one of the finest fielder and handy off-spinner too. He is backbone on CSK batting lineup throughout all the seasons. He is the only player in IPL history who scored more than 350 runs in every single edition of Indian Premier League. Rohit is one of the successful captains in IPL for Mumbai Indians. He loves to control the game and play as per team wanted. His ability to hit sixes is been just amazing. Rohit scored 4493 runs with an average of 32. He won 3 IPL trophies as Captain. The all-time greatest finisher and world class wicketkeeper M.S. Dhoni is at no. 6. M.S. has been the part of the most successful IPL franchise since the inaugural edition of Indian Premier League. Dhoni also clinches the 3 IPL titles for CSK. Carebian all-rounder Andre Russel is the first choice for the all-rounder slot. He hits sixes after every 7 balls that he faced. He also bowls with 145 clicks. Russel plays an important role in KKR during both IPL victories. He also won the 'Most valuable player' award for his all-around performance. Russel's strike is close to 200 throughout the IPL. Sunil Narine is a classical mystery spinner who is behind both the IPL titles of KKR during 2012 and 2014. Narine is Misery bowler in IPL whose bowling economy is just near to 6. He is been also very successful as an opener for KKR. He holds the record of fastest fifty in IPL (12 balls 51runs). Amit Mishra is one of the successful spinners in IPL history. Mishra took 146 wickets in 136 matches with economy rate 7.38. He is the 2nd in the list of highest wicket taker and most in spinners. Most of the foreign players find difficult to read Mishra's googly. He is kind of bowler that every captain wants him in the team. Currently, Bumrah is the most dangerous bowler in all form of cricket. He got the Indian call due to his sublime performance in IPL. Bumrah's performance helps to won 2nd and 3rd titles to Mumbai Indians. The accuracy that Bumrah has to bowl Yorkers consistently makes him a special player. Lasith Malinga is the most successful and economical fast bowler in the history of IPL. Malinga is the highest wicket taker with 154 wickets in 110 matches. He leads Mumbai's bowling attack since is been part of Indians. Srilankan death bowling specialist helps MI to clinch their all 3 IPL trophies. I choose Gautam Gambhir as a Captain of these IPL all-time XI. I really love his passion for game and attitude towards the opposition. He backs his players well, gave fully of freedom to express their talent. Yes, Dhoni and R. Sharma both are the strong contenders for Captaincy but I thought Gautam Gambhir is best. The way he leads the KKR setup it was just awesome. He won 2 titles for KKR as Captain. 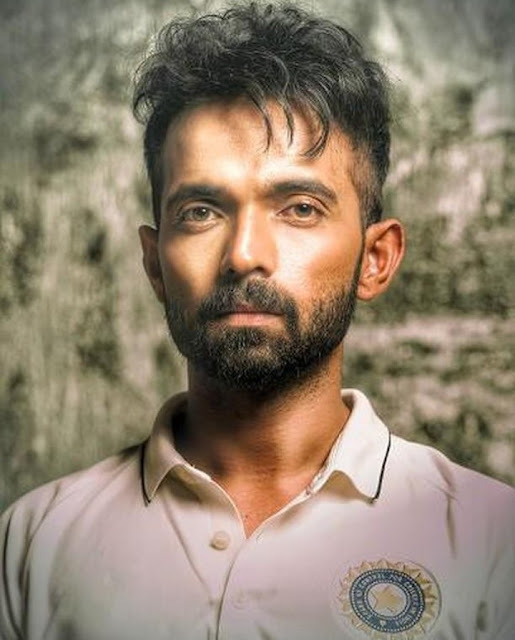 Can Ajinkya Rahane get a comeback call in ODI's? Some of the people will definitely make fun of it although some of will asked a question, do you really know Cricket or not? But I feel there is high possibility that, Ajinkya Rahane might get comeback call in ODI team against Australia series which is been scheduled to play from 2 march. Not just because of he is one of my favorite players; i think his domestic performance in limited overs cricket forces selector to think about him. Recently, Ajinkya Rahane lead the India A side for the 3 ODI's against England lions and managed to score 59 and 91 runs in first 2 ODI's before getting out on very first ball in 3rd ODI.He also finished Deodhar trophy as winning captain and scored 190 runs with an average of 95. In the finals ajinkya hits 144 runs and grab the player of the match award. Jinx captained mumbai setup as well in group stages during vijay hazare trophy. He had scored a daddy hunred(149 runs) against karnataka. Indian team management wants to rested some of the senior players like Rohit Sharma and Shikhar Dhawan. It is the great chance to tested the contenders who are in the race for world cup. BCCI already revealed that Ajinkya Rahane and Rishabh Pant both are in the race for upcoming world cup which is planned to play in England from 30th May. It's right time to invest the upcoming Australia series in both the players. Ajinkya's technique is suited for the English condition, so looking for the world cup he is the best option as the backup player for India's top order. Yes KL Rahul is another option but since last year he is not at his peak. Ajinkya Rahane, KL Rahul and Rishabh Pant; out of these three one or might be two of them get a chance to represent the Country in World Cup. Its been healthy headache for the selectors to pick from these players. End Of Golden Era Of Indian Batting With Gautam Gambir's Retirement. Gautam Gambhir has announced the retirement from all form of cricket yesterday. Ranji trophy game against Andhra Pradesh at his home ground Firoz Shah Kotla stadium will be the last game of his cricketing career. Gautam announced his retirement from his Facebook official by posting an emotional video. In these 11 minutes video, he thanked his family, teammates, all coaches especially Justin langer, and at the least his supporters. He also thanked the bowlers who ran long to make him a great batsman. In Next life too, he desired to represent Indian cricket with more number of wins, more numbers of hundreds and also some of the five-wicket hauls. Gautam Gambhir played 243 matches for India scored 10324 runs with 20 hundred and 63 fifties. Gautam captained Indian ODI side for 6 matches and he wins all these 6 included clean sweep to New Zealand. He wins the IPL trophy 2 times as Captain of KKR. 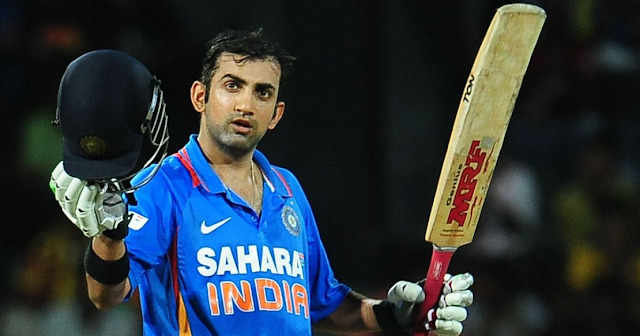 Really a fan of Gautam Gambhir I thought he deserves more chances to play for India. But due to some of the internal issues may he left the opportunity of playing for India for a longer period of time. 75 runs in world t20 final against Pakistan in 2007, fabulous match saving 137 runs in 436 balls at Nepiar in Test against New Zealand in New Zealand and classy 97 runs in world cup 2011 against Sri Lanka will forever remain in the memory of every Indian cricket fan. Gautam Gambhir played his best of cricket during the years 2009 to 2011. In 2009 Gautam nominated as ICC Test player of the year. In the era of legends like Sachin, Dravid, Ganguly, VVS Lakshman and Sehwag managed his class equally in these quality batting lineups. With Gambhir's retirement golden era of Indian batting has been ended yesterday. I hope Delhi Ranji team will give a great send off to great servant of Indian cricket with a big win against Andhra Pradesh and he will also finish his cricketing career with mighty hundred or even more. Wishing Gautam Gambhir a healthy and prosperous post Retirement life from Team RallyRave. India's top boxer, Marry Kom, has won the sixth gold medal for her historic performance in the World Boxing Championships. In the Women's World Boxing Championship, she won the sixth title of the World Championship by winning 5-0 in the 48kg category. Marry Kom is the first female boxer to win six gold medals at the World Championships. She found herself very aggressive in the final. She started an aggressive attack from the first round. In the first round, she had lost her right knock. After the first round, Marry's morale looked so extraordinary, and she got the advantage of being in the next round. In the second round, Omukhota gave Marichal a good fight. Okhoton dropped Marry on this occasion. In the third session, Okhoton brought good luck to Marry. However, Marie did not give up the grip on all her experiences. Marry Kom was the first winner for 16 years ago. She then won the World Boxing Championship title in 2001, 2002, 2005, 2006, 2008, 2010. Today whole Indian cricket fans take a bed with a lot of pride and prosperity cause they have got another Sachin Tendulkar at Motera stadium Rajkot. sachin Tendulkar's elegance and Virendra Sehwag's fearless attack brought together in Prithvi Shaw. The18-year-old young Prithvi Shaw smashes classical Hundred on debut. He managed to score 134 runs in 154 balls with the help of 19 fours. Now Shaw becomes the only player to hits hundred on debut in International cricket, Ranji trophy, and Duleep trophy. After Captaining the champion u19 team, he scored 1418 runs in 14 matches in a first-class career with 7hundreds. He made his IPL debut this year for Delhi Daredevils and scored 245 runs in 9 matches with a healthy strike rate of 153.12 with the highest score of 65 against KKR. The successful performance in England for India A gave him chance to represent the Indian side in Test cricket. Prithvi Shaw has extraordinary talent his hard work and dedication makes him very special cricketer. His cover drive reminds the old Sachin Tendulkar. He punches the ball which stops after hitting the boundary ropes. I think Team selection committee had taken a great call by giving the chance to Prithvi Shaw. As we see the great players like Sachin, Dravid, gangly and Virat made their debuts in the early period of their cricketing career. This helps to improve their skills and temperament and such qualities make them great players. Definitely, Prithvi will gonna join these list in upcoming years. In ongoing test series, Bolling attack of windies is poor few of the bowlers are inexperienced. But Prithvi Shaw will be going to be tested in the upcoming tour of Australia. Bouncy pitches and high-quality pacers definitely try to irritating Prithvi Shaw. If Shaw can do better in Australia he might have a chance to be the great player in Indian cricket history. After watching a classy inning of Prithvi Shaw one though it comes into mind that "Prithvi Shaw will have a chance to become the next big thing in Indian cricket. Best wishes to Prithvi shaw for upcoming test series against Australia and his bright future from team RallyRave. Sourav Ganguly is the former captain of Indian cricket team and now working as president of Cricket Association of Bengal. Sourav Ganguly is also known as "DADA" He is the most aggressive captain of India who leads India in world cup 2003 where India finished the tournament as runner-up. He makes test debut against England on 20th June 1996 with a classy hundred and makes ODI debut against Australia in January 1992. During his bright international career, he makes a remark as a greatest left-handed batsman and greatest captain of national cricket side. World cricket has known him as a "God of offside" for his amazing strokeplay square of the wicket and in the covers. In IPL 2008, Sourav became part of Kolkata knight riders as captain and he played 2 seasons for KKR. He played the last match his career for Pune worries India. Sourav Ganguly played 113 test matches and hits 7212 runs with a healthy average of 42.17 and took 32 wickets. In ODI cricket he makes 11363 runs with an average of 41.02 in 311 matches he also celebrates hundred in the wickets column. Ganguly is the biggest fan of football he follows Brazil football team in Russia world cup 2018 but unfortunately, there didn't make the place into the semi-final. Sourav has owned Atletico de Kolkata in Indian football super league with Sanjiv Goenka, Utsav Parekh, and Harshwardhan Neotia. ADK won the inaugural title of Indian super league. Sourav is now working as president of the CAB and in future, he might become president of BCCI. He also works as a commentator in international cricket. He is also a member of governing council and technical committee of Indian Premier League. Very Happiest Birthday DADA and great wishes for your cricket administrative career from Team RallyRave. Former Indian captain and captain of CSK M.S. Dhoni (Thala) turn 37 on Saturday. M.S. Dhoni who won the T20 world cup, ODI World cup, and champions trophy for India as a captain. 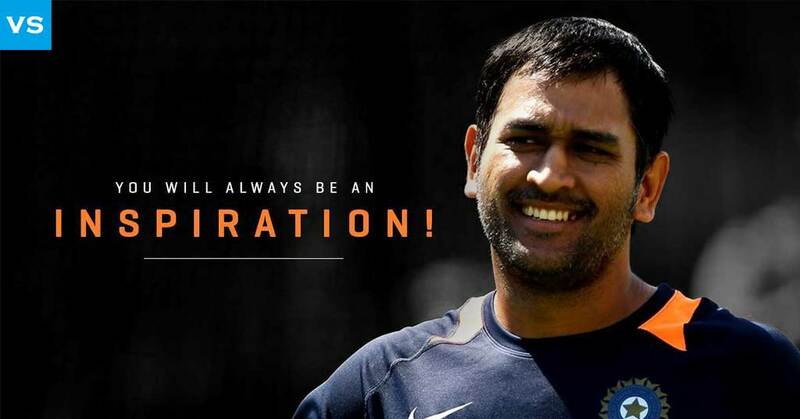 Recently he played his 500th International match for India on Friday against England. M.S. Dhoni is the highest run scorer wicket-keeper batsman in an ODI inning in 2005 against Sri Lanka. He scored 183 runs in 145 balls with 15 fours and 10 sixes. M.S. Dhoni holds the record of playing most number of finals in IPL. M.S. Dhoni has hits 217 sixes in ODI so far. It is the most by any Indian batsman. M.S. Dhoni has scored most runs without scoring a half-century. He hits more than 1000 runs in T20 cricket. M.S. Dhoni has hit the most number of centuries at no. 7 by any batsman against Pakistan and Africa XI. M.S. 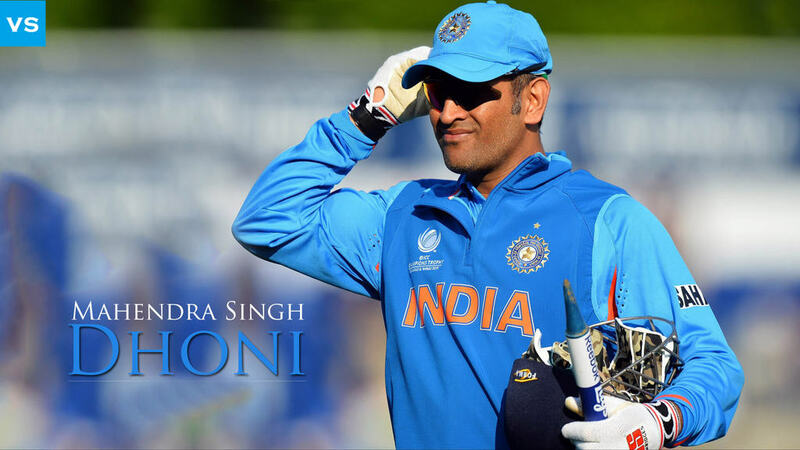 Dhoni is an only 3rd player to play 500th international matches for india. Before Dhoni Sachin Tendulkar and Rahul Dravid do the same. M.S. 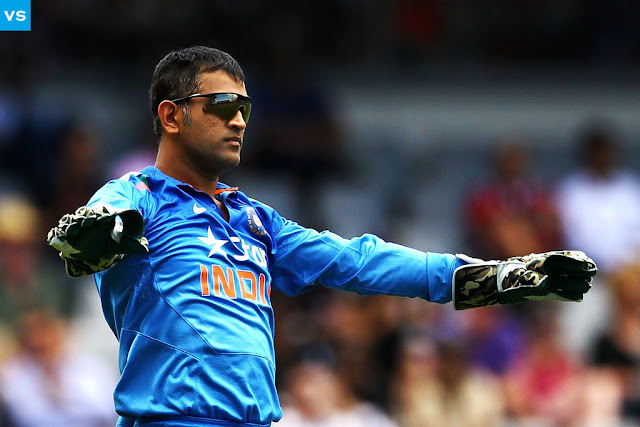 Dhoni is third most successful wicketkeeper in the international cricket. He takes 780 wickets behind the stumps. M.S. Dhoni is the only player to win ODI Cricketer of the year twice. Dhoni holds the record for bowling the most number of times for a wicketkeeper. He has bowled 9 times in his international cricketing career.